In my post yesterday I referenced the difficulty non-profit arts organizations have with conducting outreach activities that have relevance to communities. I and others have also frequently written about the problems with the way arts organizations approach relations with underserved communities, especially communities of color. The honest truth is, a lot of non-profit organizations find the work they are doing has poor resonance with the communities they hope to serve. I was reading a piece on CityLab today about an organization that is trying to plant trees in Detroit. You would think this is a pretty non-controversial endeavor, but many neighborhoods in Detroit had a narrative of distrust in which trees figured prominently. But as I read the article, I felt like so many phrases and terminology were exactly the same ones that crop up in discussions about how arts organizations need to frame their approach and relationships with underserved communities. Elliot Payne, described experiences where green groups “presumed to know what’s best” for communities of color without including them in the decision-making and planning processes. “I think a lot of the times it stems from the approach of oh we just go out and offer tree plantings or engaging in an outdoor activity, and if we just reach out to them they will come,” Payne told Taylor. Cut out the references to tree planting and outdoor activity and it immediately sounds like a conversation at an arts conference without even needing to insert arts terminology. You’re dealing with a generation that has not been used to having trees, the people who remember the elms are getting older and older. Now we’ve got generations of people that have grown up without trees on their street, they don’t even know what they’re missing. 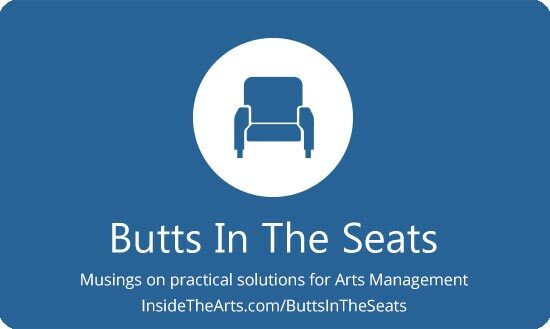 How many times have you been part of a conversation where those advocating for the value of the arts talk exactly along these lines? – People don’t understand the value of the arts and the benefits they afford. The younger generation isn’t used to attending/participating in arts experiences. They have grown up without arts educational classes or opportunities to attend performances, they don’t even know what they’re missing. What was really interesting to read was how residents of neighborhoods and the city were operating from two different narratives about trees. A researcher was surprised to learn that nearly a quarter of the 7500 residents the tree planting organization approached rejected the trees. When the researcher spoke to residents, they told her about how the city cut down the elm trees that used to line the streets after the 1967 race rebellion so that it was easier for police to conduct helicopter surveillance. The city, on the other hand, said they cut down the trees and sprayed them with DDT from helicopters in order to stem the spread of Dutch Elm disease which threatened during that time. It was this conflicting narrative that motivated residents to reject the trees. They were already well aware of the benefits of trees in providing shade, improving home values, filtering air pollution, etc., it was just that they didn’t trust the motivations of the city. This made me wonder if people were more aware of the benefits of the arts than we believe and there are narratives that inform a sense of distrust. Ideas about what the arts are and who they are for may comprise a large part of that narrative. There was also a far more practical consideration fueling the rejection. People felt someone else was deciding what should be planted and where without having any conversations with the people who would have to live with the trees —and rake the leaves and branches that fell. The city doesn’t have the resources to trim the trees or remove dead ones that threaten the fall so the residents would bear the consequences. What I could really empathize with was that The Greening of Detroit, the organization planting the trees, probably felt like they were doing a lot to have conversations and involve the community in a discussion about the tree planting. In retrospect, there were missteps in their approach and they didn’t dedicate enough staff resources to outreach. However, they held community meetings and placed door hangers, both of which discussed their plans and their commitment to maintain the trees for three years following the planting. Unfortunately, none of these things made the right connection with the residents but I could see a lot of arts organizations in similar circumstances feeling that making the investment to take those steps was doing a good job by residents. It seems like the really, really retail, one-on-one interactions that were part of the researcher’s follow up was what was needed to make residents satisfied they were being heard. Joe – I love this post. Thank you for sharing. This is why I love learning from people in diverse sectors and perspectives – our “neighbors” shine new light on the strength and folly of our own work. Thanks Nina. I try to take lessons from other places. I am also trying to be a little better about acknowledging that some of the mistakes arts organizations make are because individuals and organizations make many of the same bad choices, not because arts organizations have a special category of bad choices all to themselves.